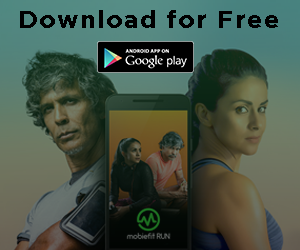 Previous Mobiefit BODY Challenges rolled out for December… Paytm vouchers, cash prizes and much more to be won! Have you always dreamt of getting a well-toned body but don’t have time to join the gym or don’t want to splurge on expensive equipment? With Mobiefit BODY you can workout in the comfort of your home without spending on a gym or a trainer! 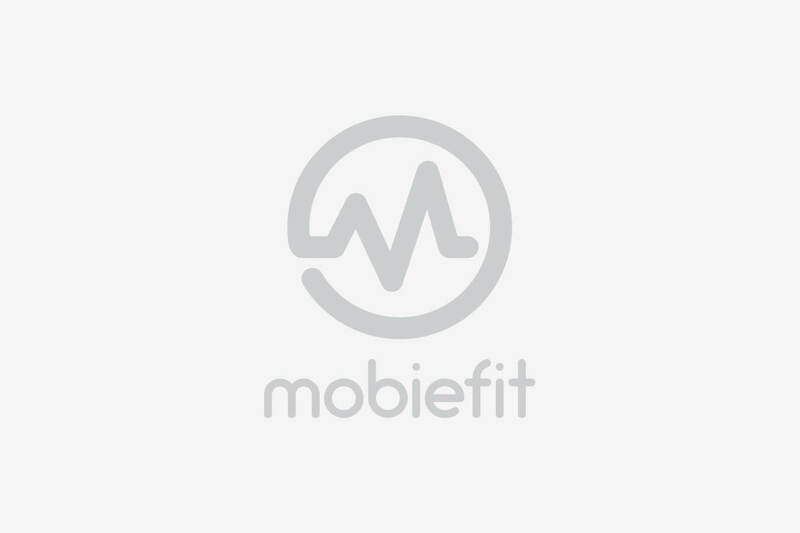 To give our users an additional boost to stick to their fitness goals, we have the Mobiefit BODY Challenges, with which we aim to provide a platform for fitness enthusiasts across the globe to compete in the challenges and win exciting prizes! This month we have launched the 10 for 10 challenges on Mobiefit BODY, which include performing three bodyweight exercises – crunches, squats, and pushups. These exercises can easily be done at home without the help of any equipment. 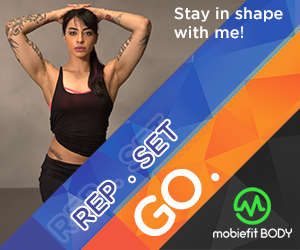 To help you through each challenge we have Mr. World Anoop Singh and MTV Roadie, Bani J who will guide you through every step of the exercise. Even though bodyweight exercises are simple, they can strengthen the core muscles and your overall structure. If getting fit is not incentive enough, we have gamified fitness to give you gift vouchers worth Rs 5000 in the 10 for 10 challenges this month. Though the challenges include doing the three basic bodyweight exercises – crunches, squats, and pushups- the entries are checked for proper form and number of reps. If you don’t want to miss out on the exciting gift vouchers and a fitter body, here’s a lowdown on how to perform each exercise to be a winner in the November 10 for 10 challenges! Squats are one of the most common and the most basic part of any bodyweight exercise routine. Squats are best known for their glute strengthening, but they can be great for your hamstring, knee, and ankles as well. If you don’t have weights lying around, try squats that go deeper than your knee level and try to hold positions for longer. In addition, you could try advanced variants such as sumo squats, lateral squats, and wide squats. And you can perform them anywhere. Stand straight with your feet shoulder-width apart and arms by your side or in the front. Now bend down by putting pressure on your hips and back, go as low as you can take while breathing in. Make sure your arm is not bent, and hold the position for a few seconds. Come up gradually while breathing out, but don’t lean forward to get back up. Do not allow your knees go over your toes while coming up. 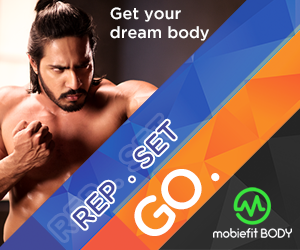 Top 10 contestants who perform 10 reps in a minute for 10 days, win vouchers from Mobiefit worth Rs 5000. We are all obsessed with flat bellies but running is just one way to work those abs and your core. You can reduce your waistline in just a few weeks by regularly doing simple crunches at home. Crunches target the abdominal muscles and its many variants can work out your sides, upper body and pectorals. Lie on your back with your legs bent at the knee your feet flat on the floor. Keep your arms crossed on your chest, or rest your head on them, but don’t use them to lift your body off the floor. Lift your shoulders up using your abdominal muscles. Don’t lift your entire back off the floor. Keep looking up i.e. your head should not tilt backward or forwards towards your chest. Hold the position for a second when you get to the peak of the crunch i.e. when your shoulders are off the ground. This is the first thing that most beginners are asked to do. It’s a must-do as it forms the basis of a strong body. Not only does it add strength to your arms, but also works out your feet, ankles and shin muscles. Lie on the ground with your feet shoulder-width apart, and toes touching the ground. Keep your elbows straight and palm by your shoulders. Now lower yourself such that your nose is close to the floor and your elbows are bent at a 20-45 degree angle. Your elbows must not flare out to the side, away from your body. Breath in while going down. Now push back up while exhaling, straighten your elbows out and return to the starting position. The challenges will span over the period of 10 days starting from 21st November to 30th November. All you have to do is download the Mobiefit BODY app and sign up in the challenges section on your dashboard to participate. The challenges are on only for 10 days and the Top 10 winners stand a chance to win vouchers worth Rs 5000 from Mobiefit.